Well-appointed 4 bedroom bungalow located in the popular residential area of Cartrontroy. 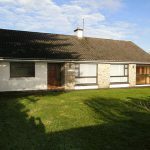 This home is just minutes drive from Athlone town centre. Accommodation comprises: Entrance Hall, Sitting Room, Kitchen/Dining Room, Living Room, 4 Bedroom & Bathroom. The property stands on a large site and contains a detached garage. This would make an ideal family home as it is located within minutes of both Primary and Secondary Schools and all amenities. in need of slight modernisation. 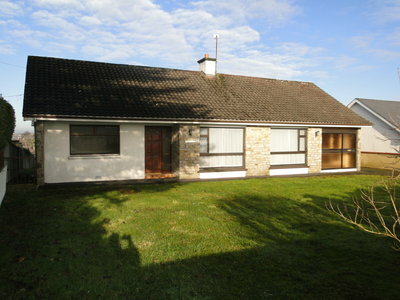 Previous Listing‘Cartrontroy House’, Cartrontroy, Athlone.Next ListingAuburn View, Tubberclaire, Athlone.